Three fun and contrasting audience-friendly movements. 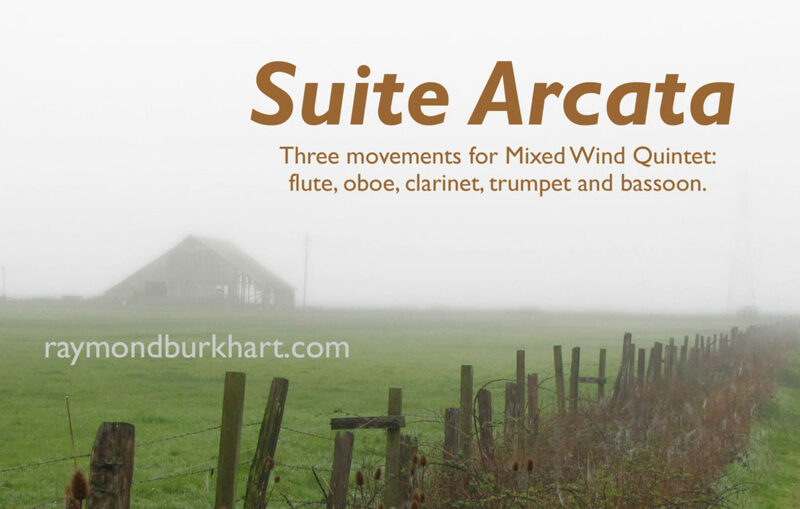 The original version for Mixed Wind Quintet (Flute, Oboe, Clarinet, Trumpet, and Bassoon), commissioned in 2014 by the Chamber Players of the Redwoods. There is also a version for standard Woodwind Quintet. I. Winter Rain is vigorous and driving, in 5/8 time. II. Coastal Fog is slow, dense, and haunting, but highly melodic. III. Summer Sun is breezy and playful, with a sunny disposition and some mixed meters.